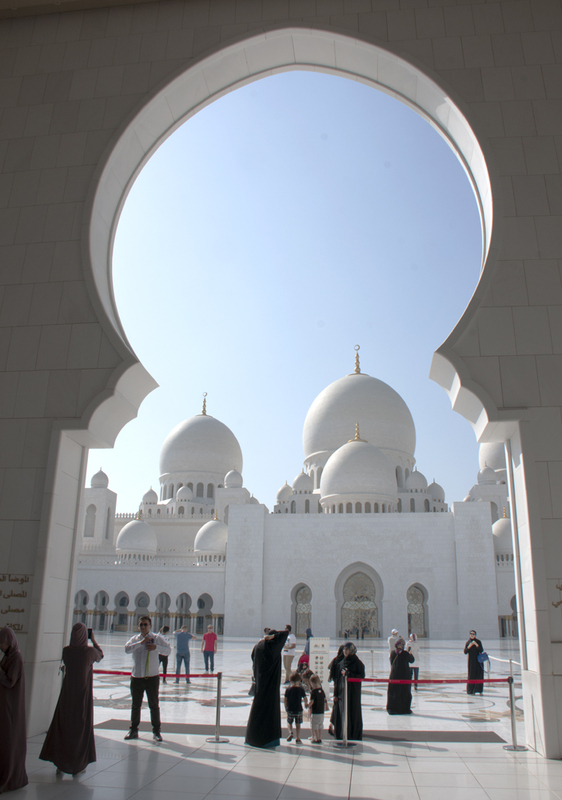 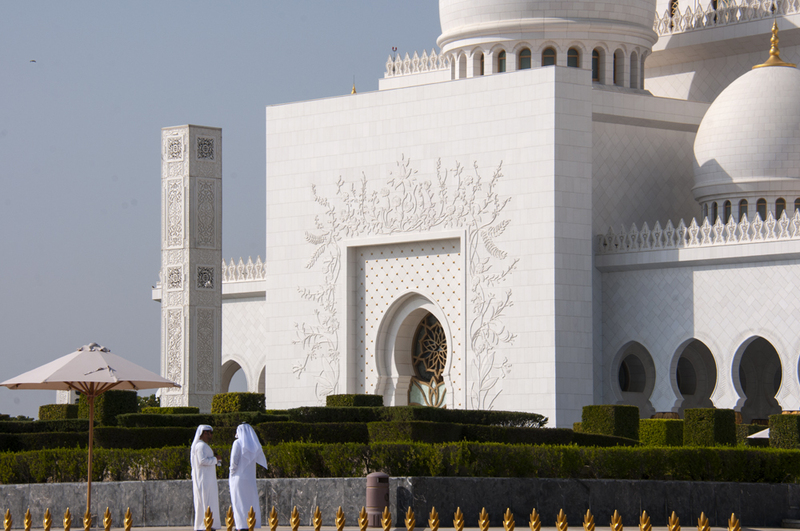 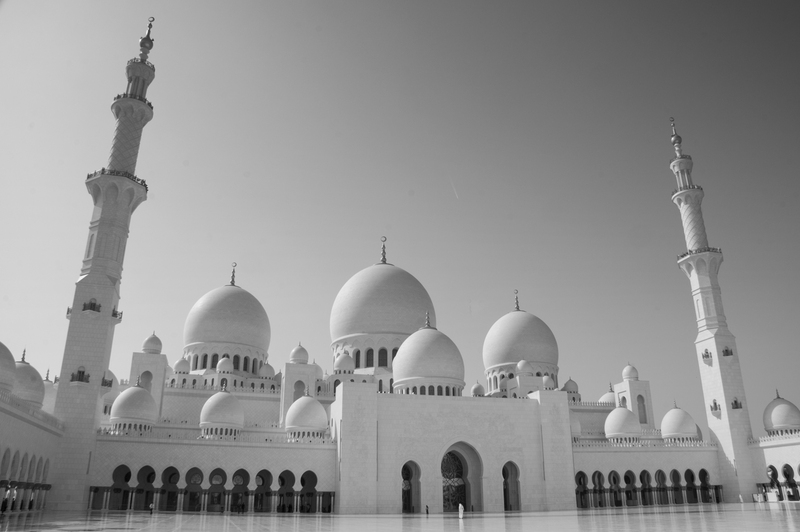 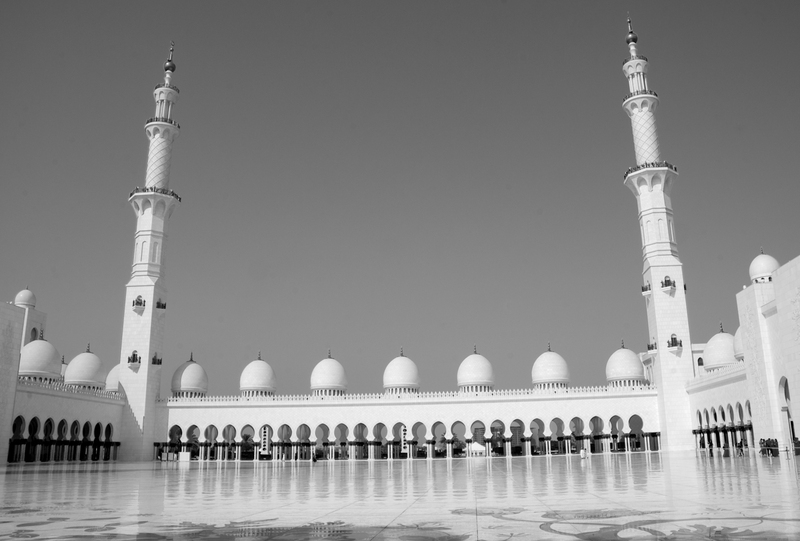 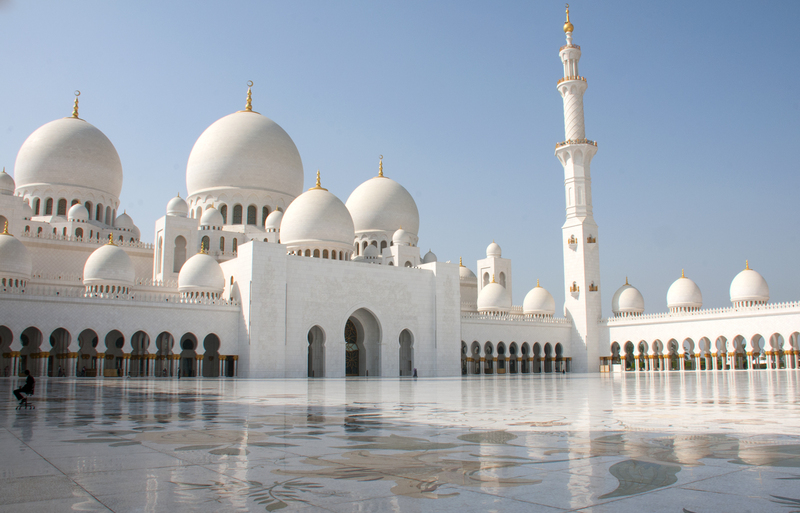 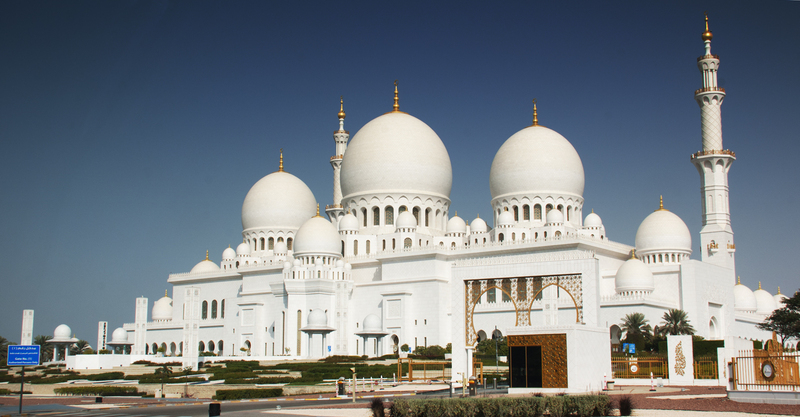 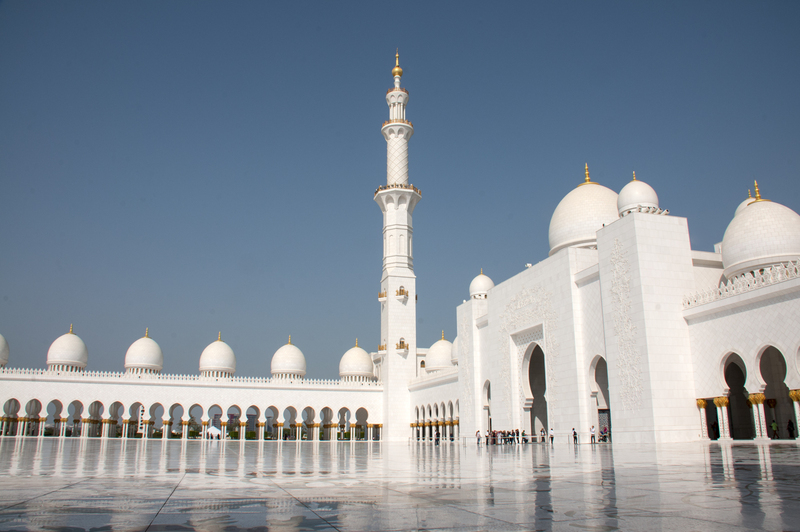 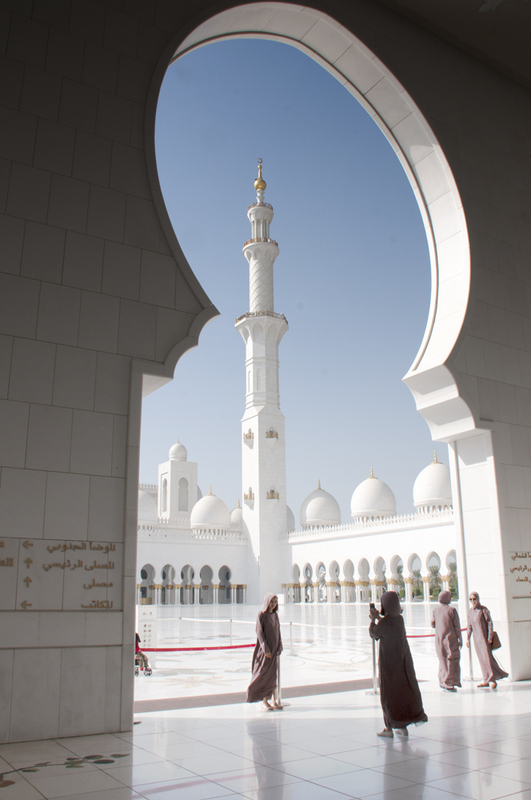 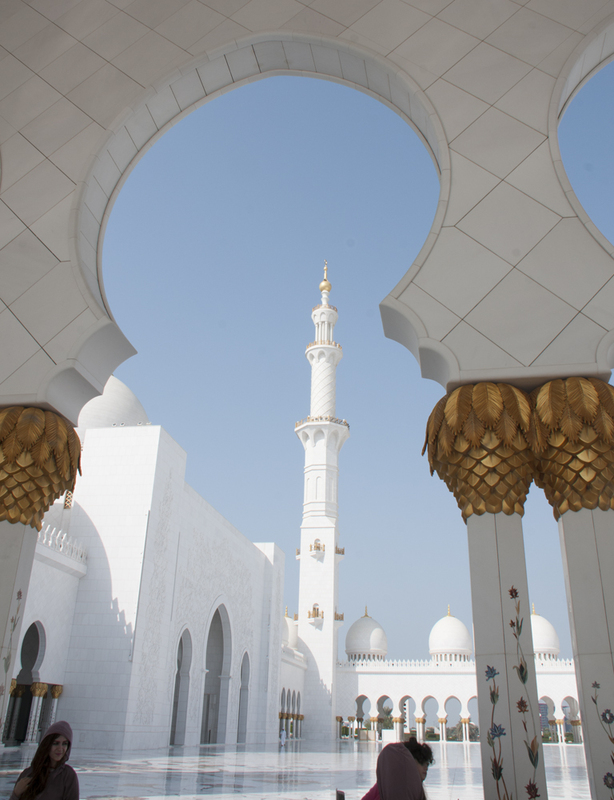 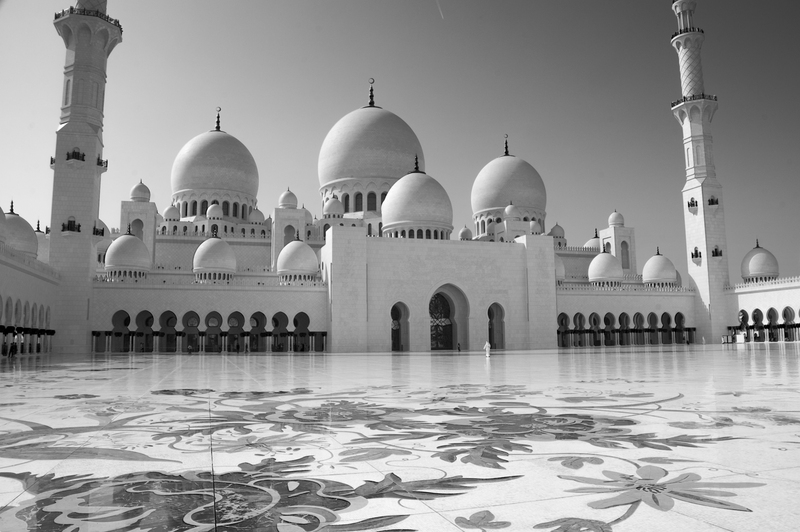 One of the most important architectural landmarks in the city is the Sheikh Zayed Grand Mosque. 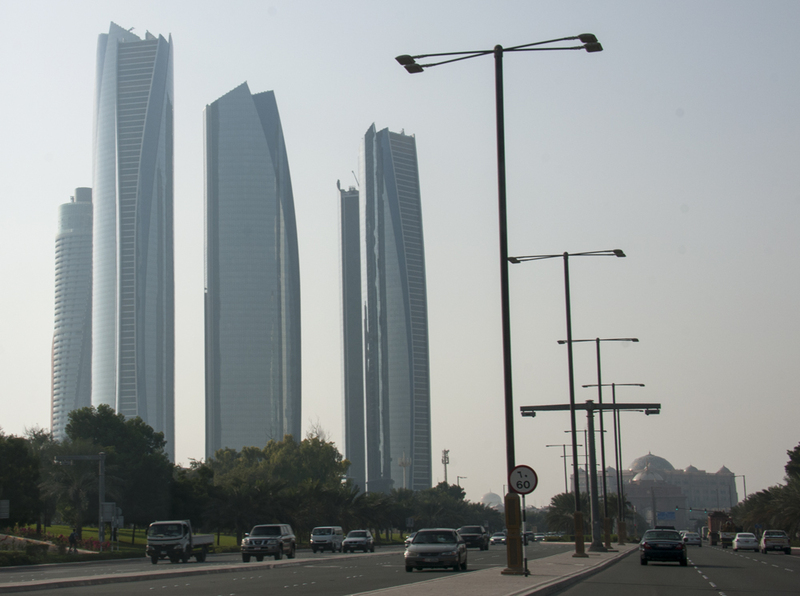 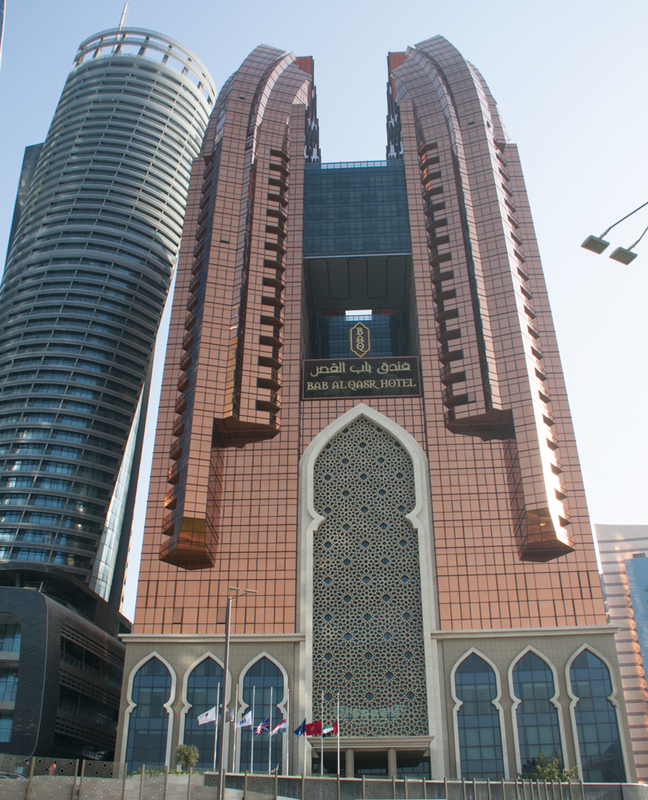 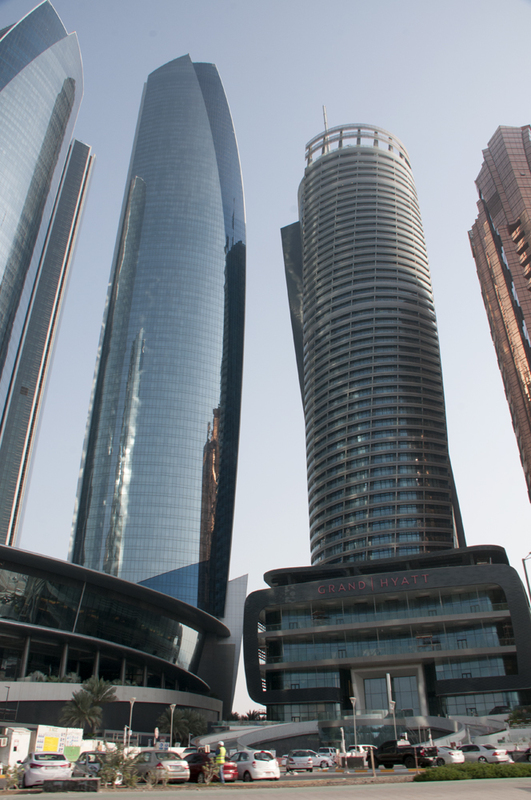 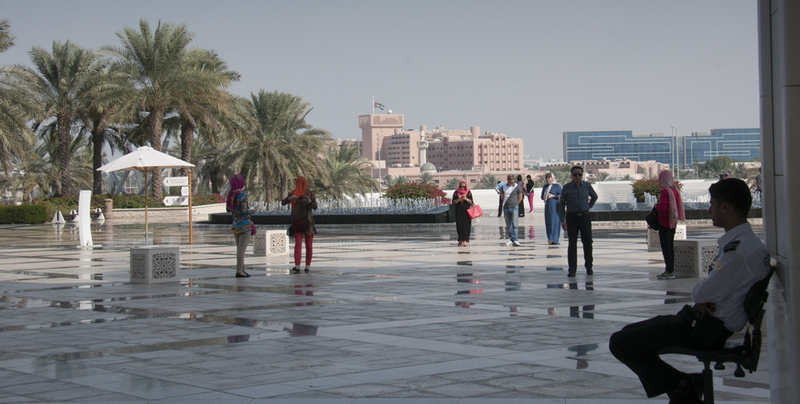 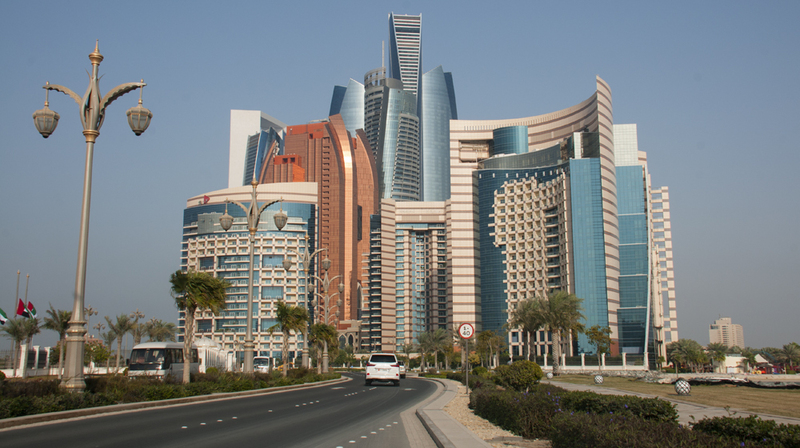 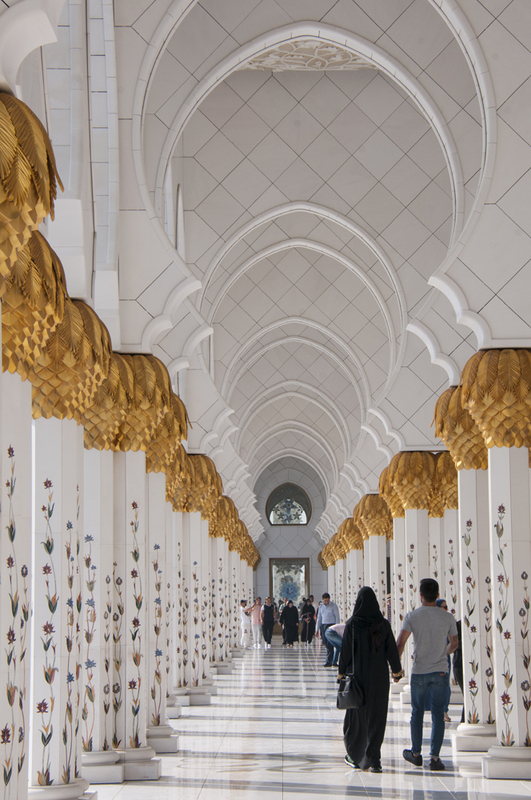 This is arguably one of the most important architectural treasures of contemporary UAE society—and one of the most opulent in the world. 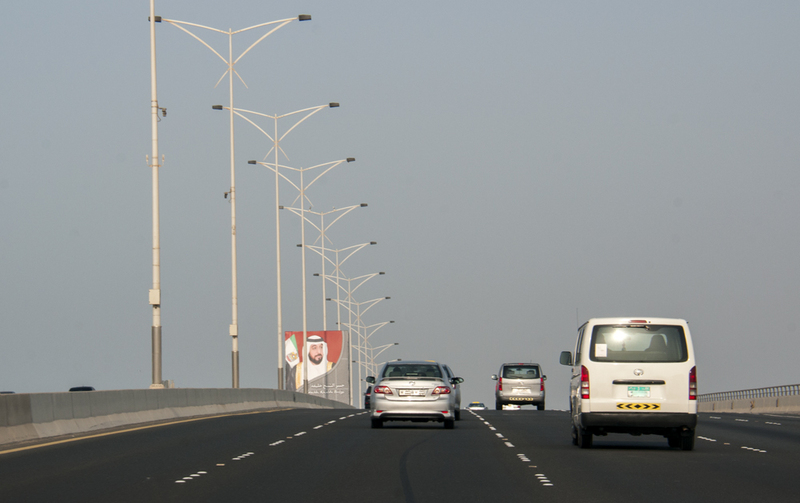 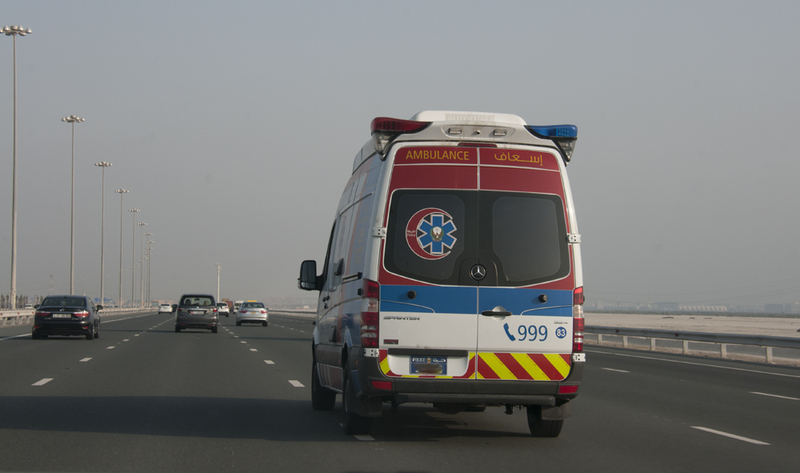 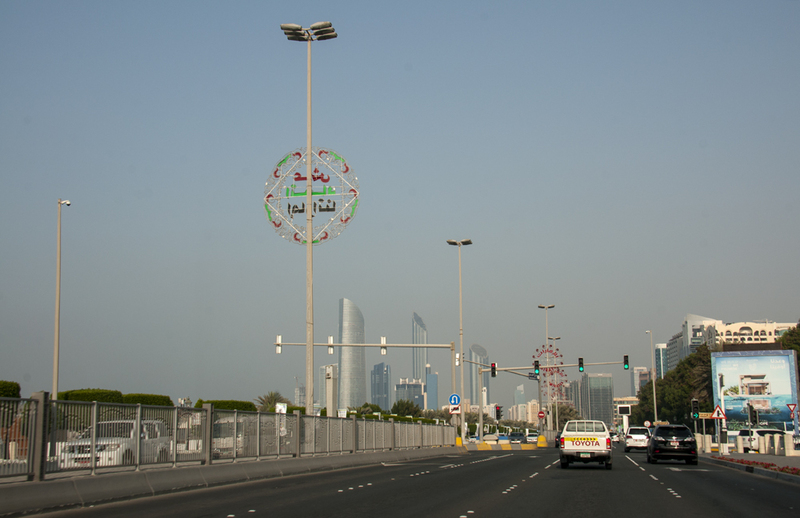 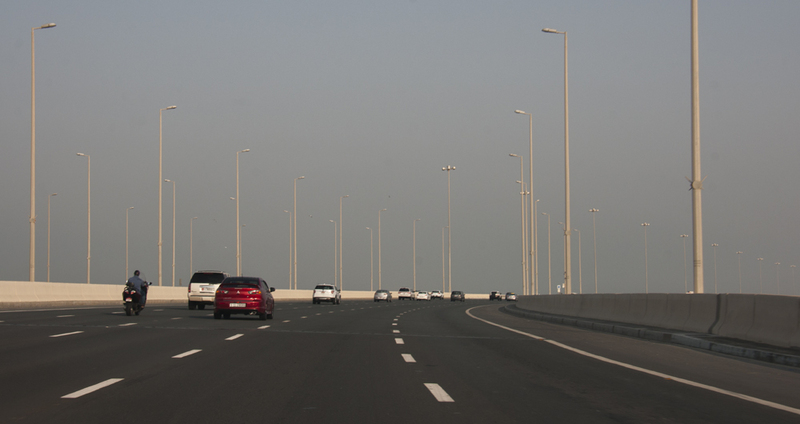 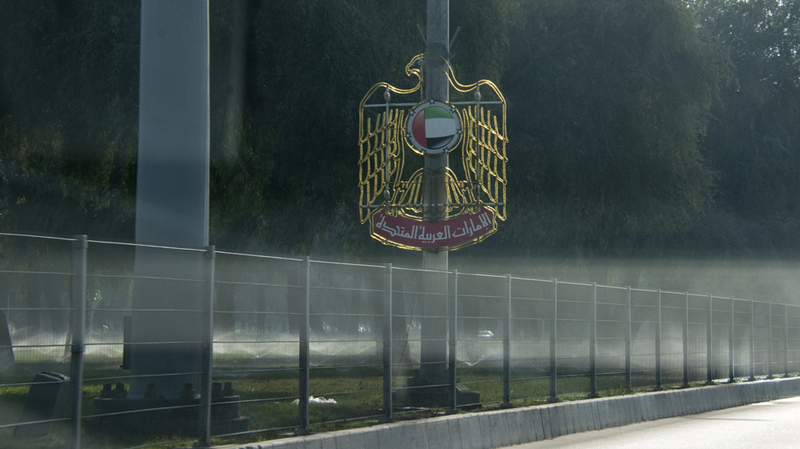 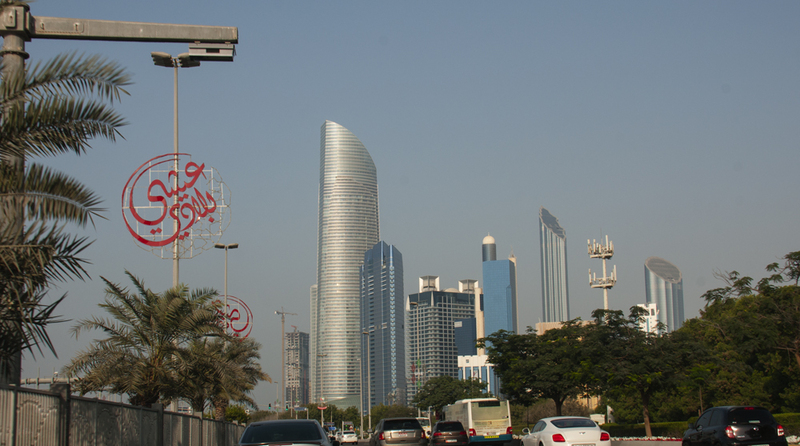 It was initiated by the late president of the United Arab Emirates, HH Sheikh Zayed bin Sultan Al Nahyan, fondly thought of as the father of the UAE. 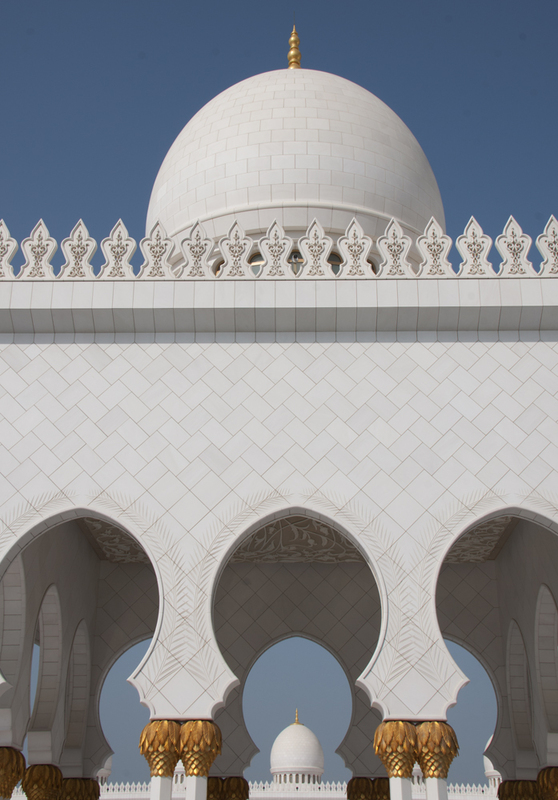 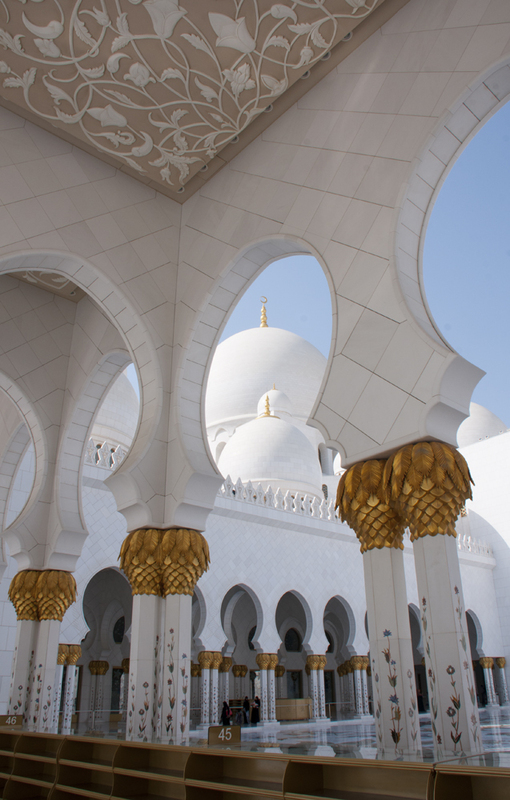 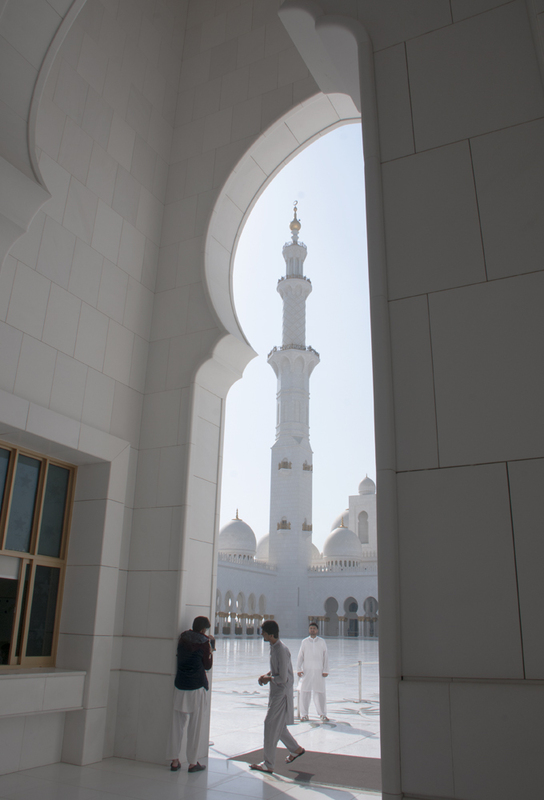 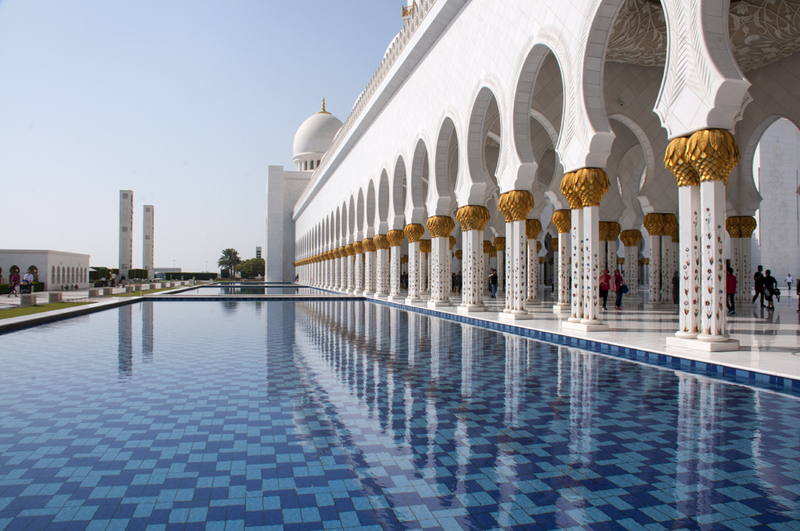 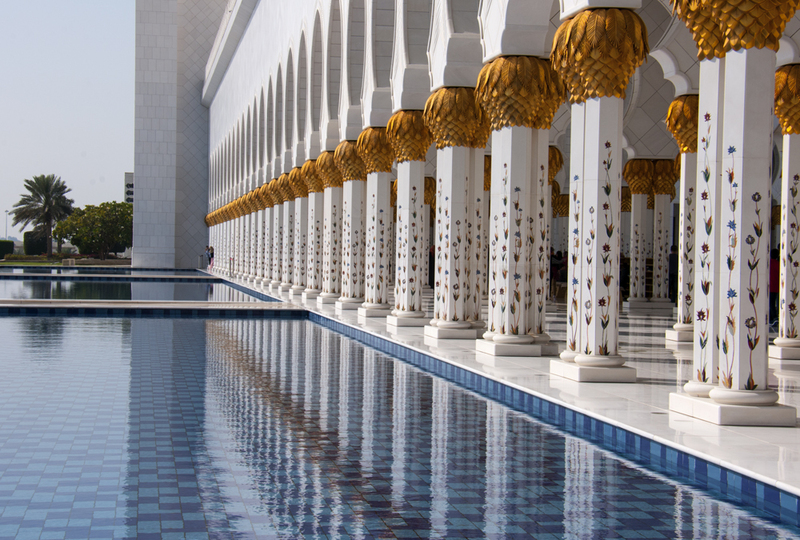 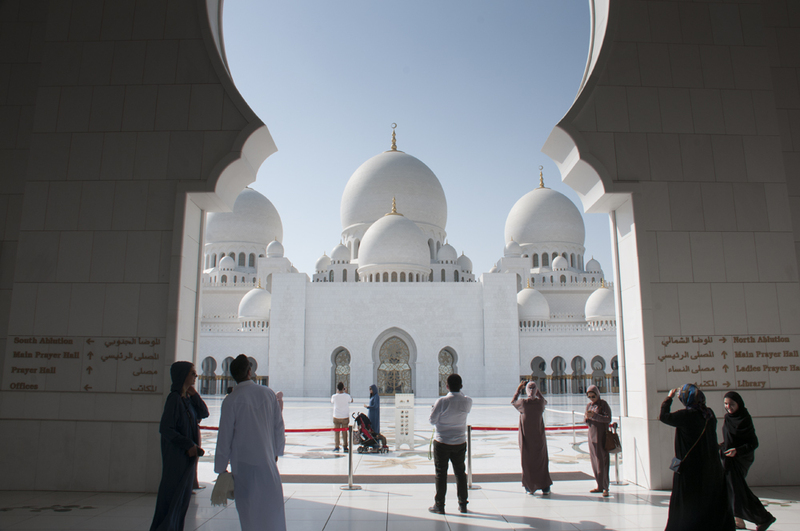 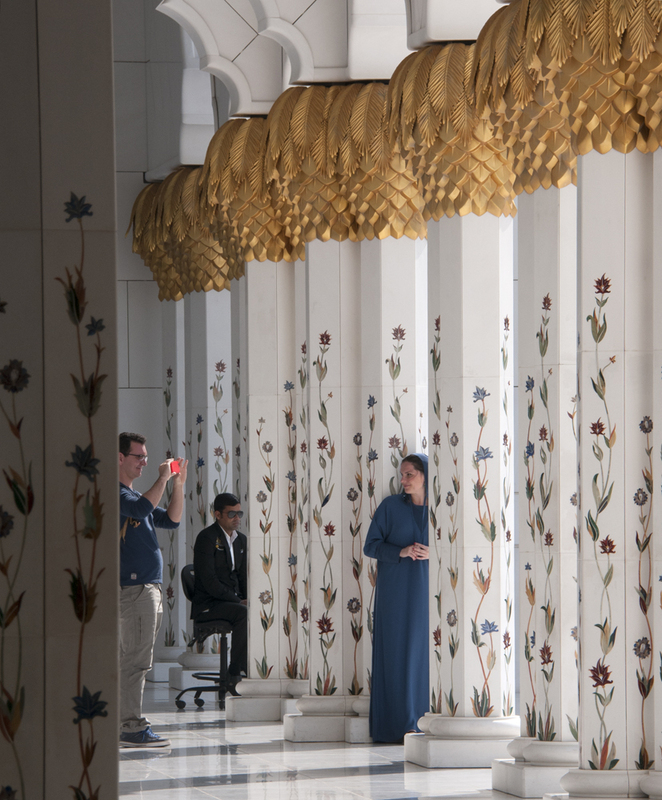 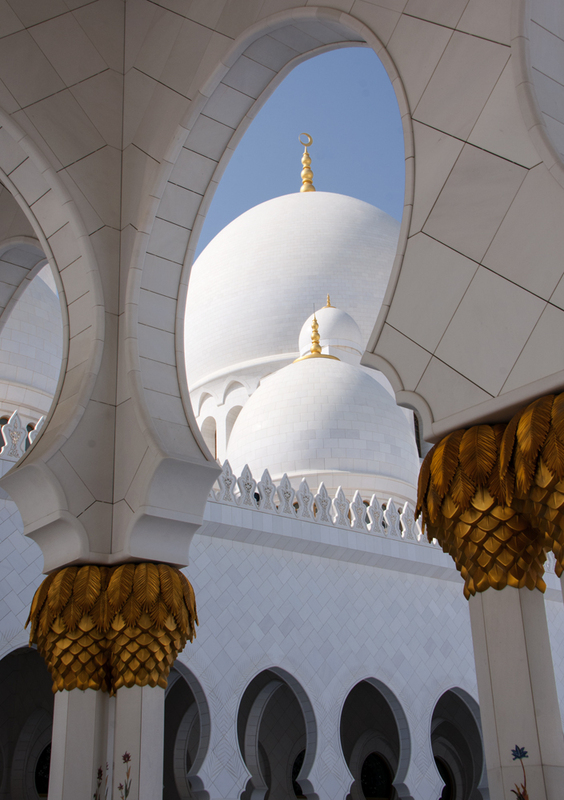 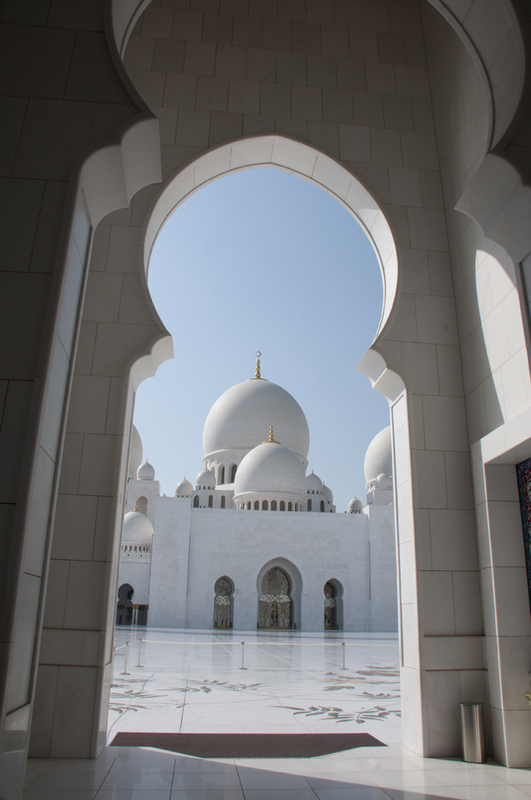 The Sheikh Zayed Grand Mosque's design and construction "unites the world", using artisans and materials from many countries including India, Italy, Germany, Egypt, Turkey, Morocco, Pakistan, Malaysia, Iran, China, United Kingdom, New Zealand, Republic of Macedonia and United Arab Emirates. 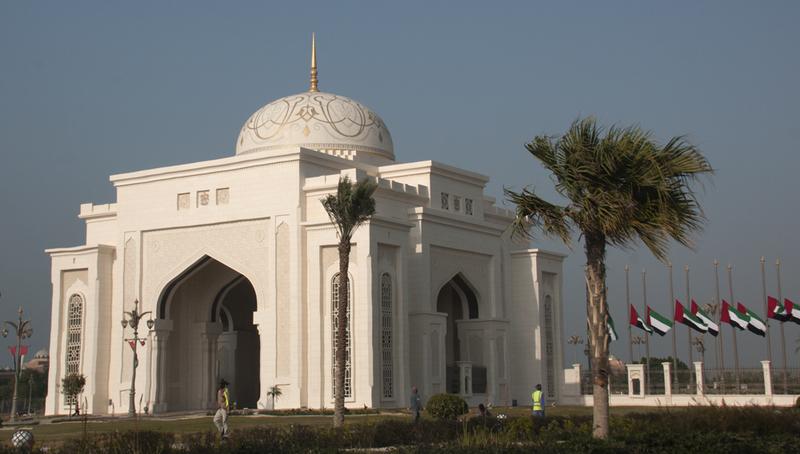 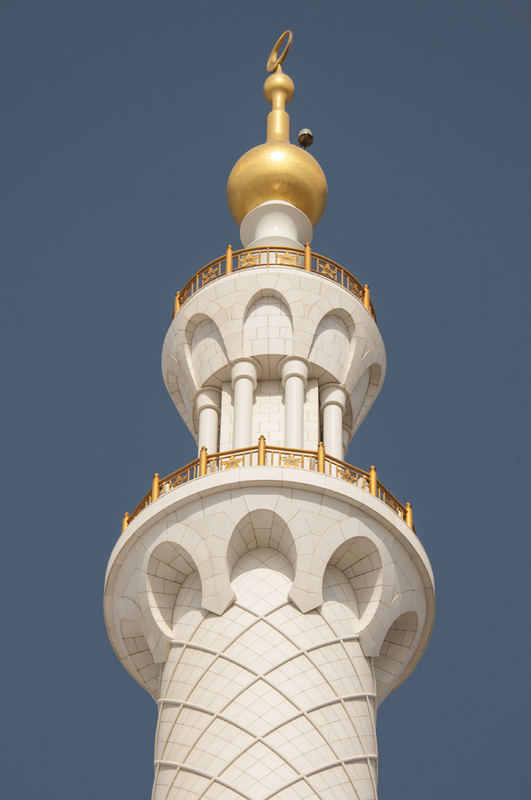 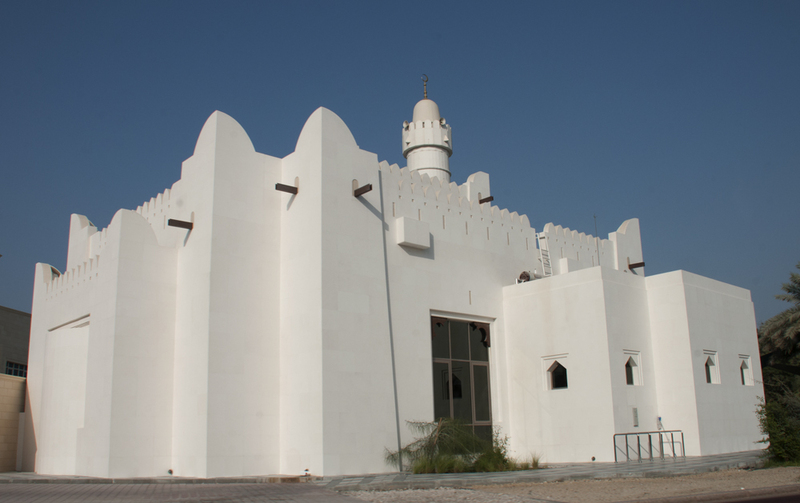 More than 3,000 workers and 38 renowned contracting companies took part in the construction of the mosque. 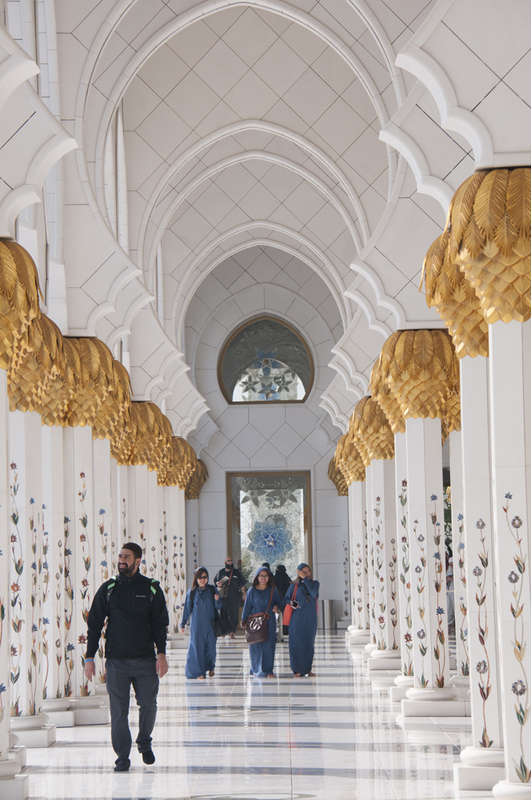 Natural materials were chosen for much of its design and construction due to their long-lasting qualities, including marble stone, gold, semi-precious stones, crystals and ceramics. 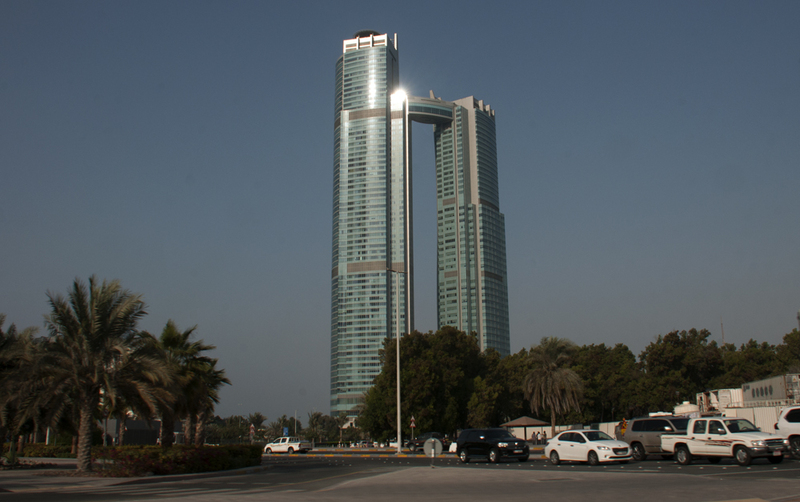 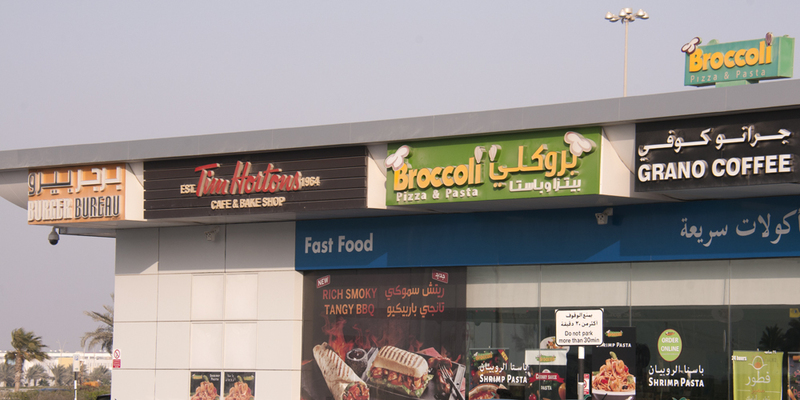 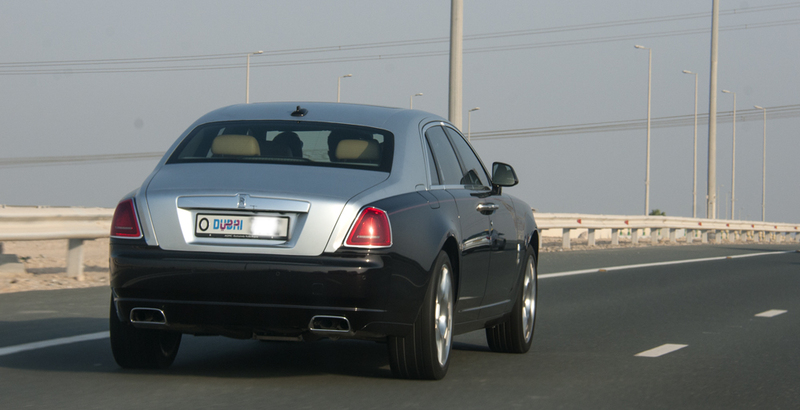 It was built by the Italian company Impregilo. 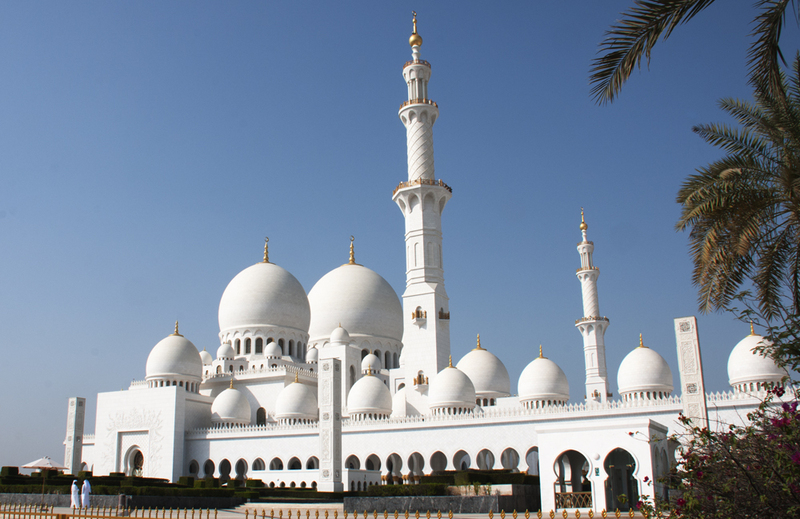 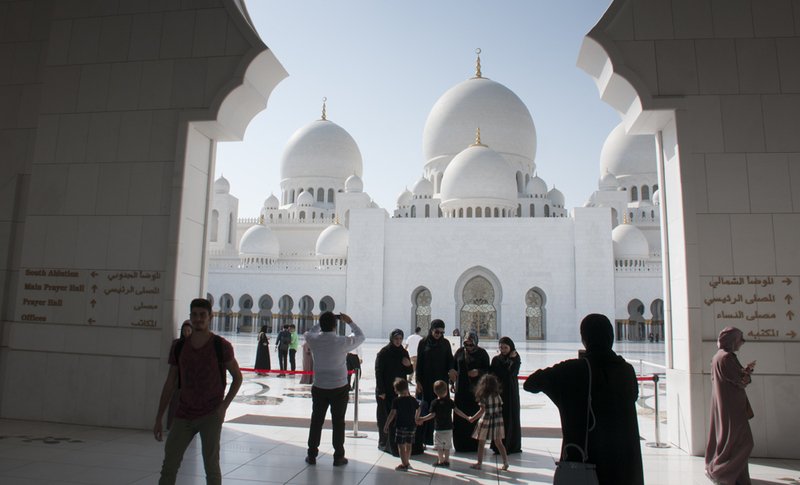 The design of the Sheikh Zayed Mosque has been inspired by Persian, Mughal, and the Alexandrian Mosque of Abu al-Abbas al-Mursi Mosque in Egypt, also the Indo-Islamic mosque architecture, particularly the Badshahi Mosque in Lahore, Pakistan being direct influences. 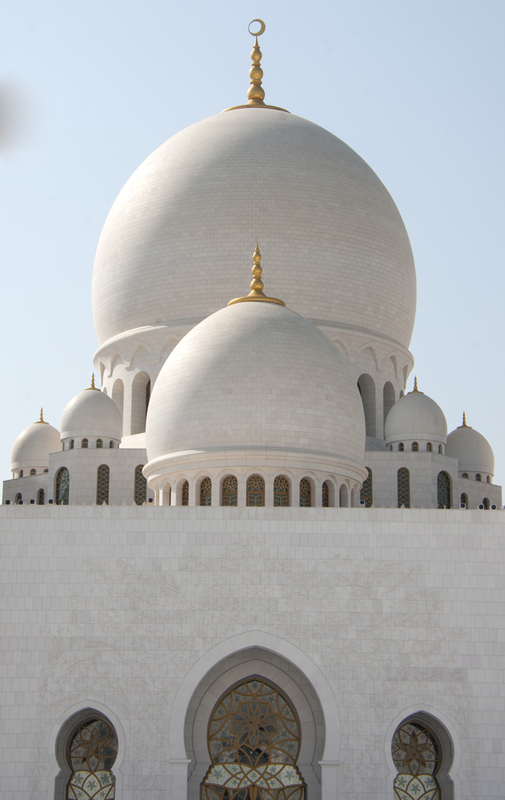 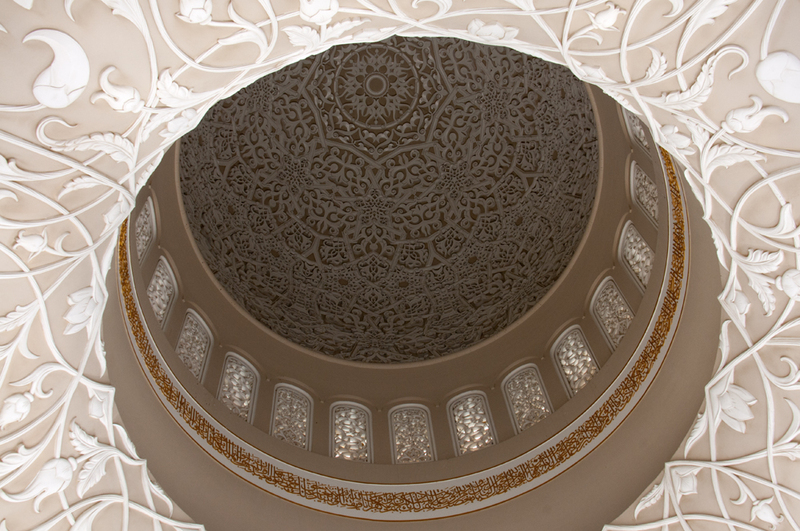 The dome layout and floorplan of the mosque was inspired by the Badshahi Mosque. 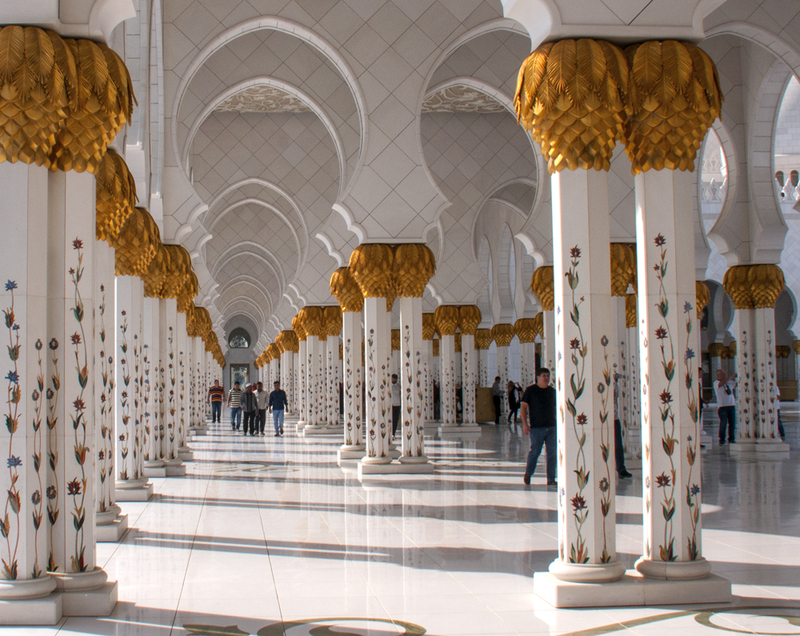 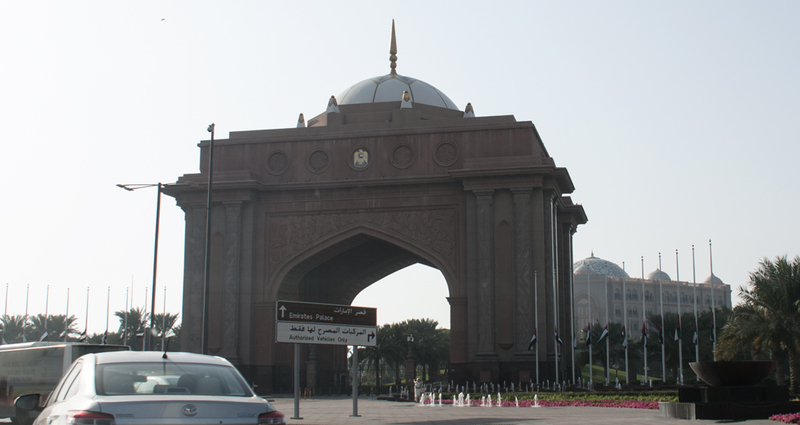 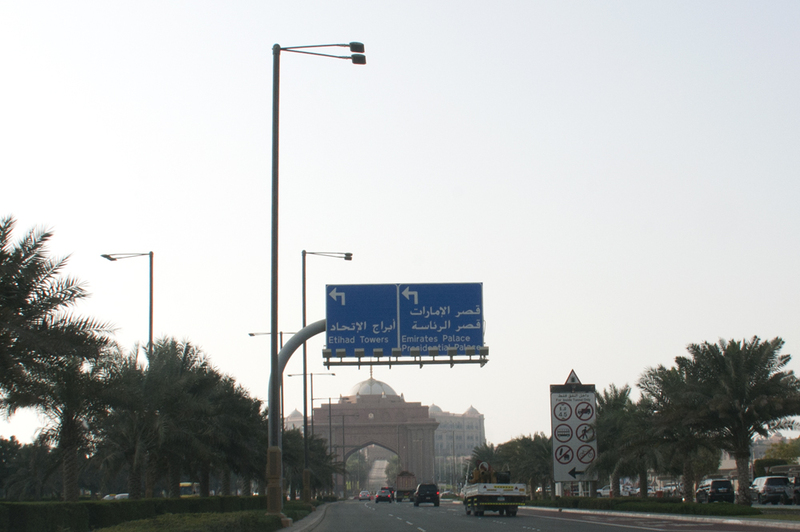 Its archways are quintessentially Moorish and its minarets classically Arab.